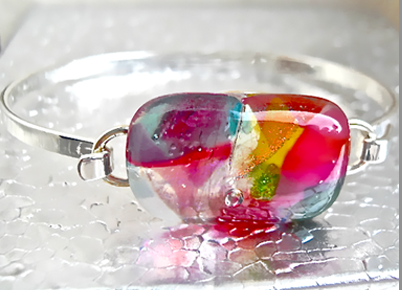 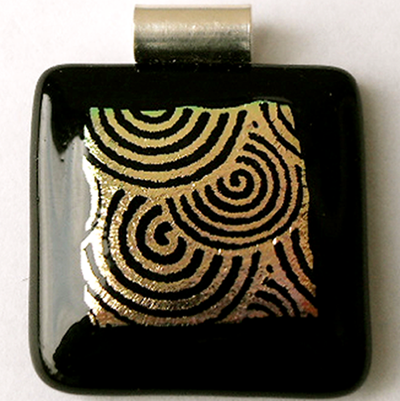 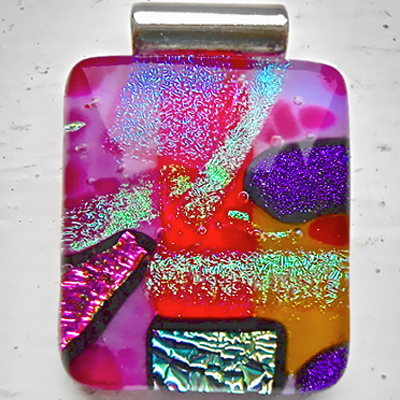 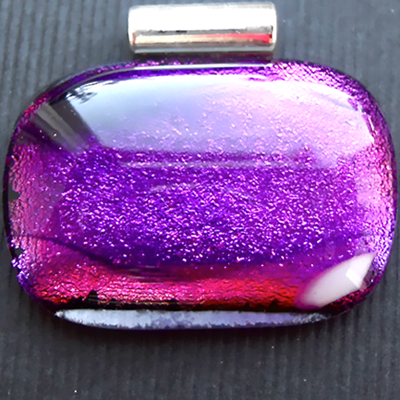 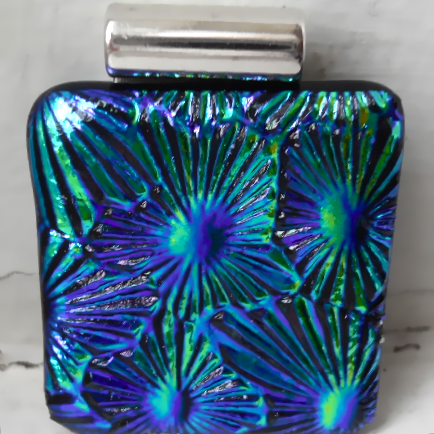 A very sweet pendant. 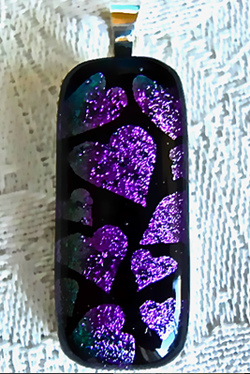 Irridescent Purple hearts on a Black background. 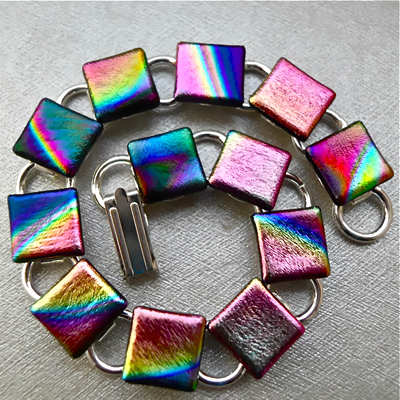 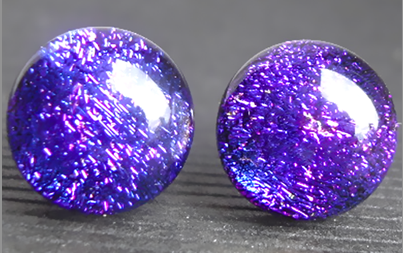 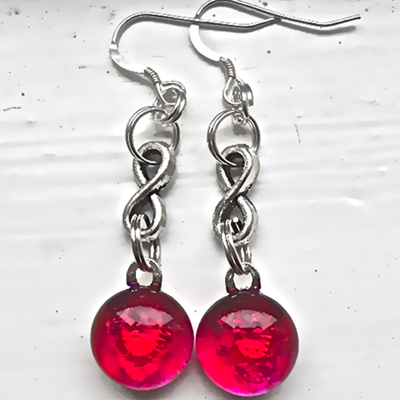 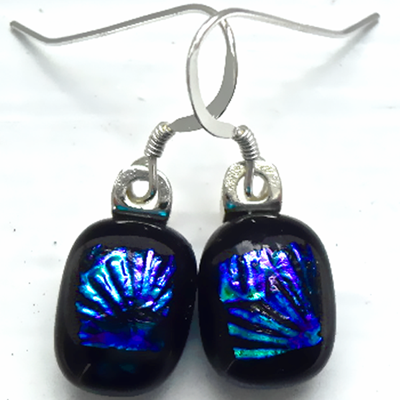 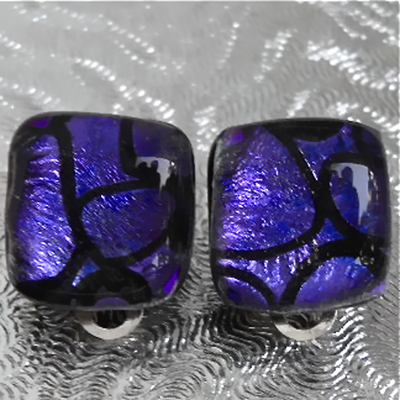 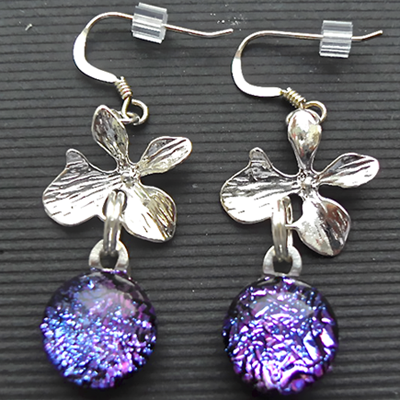 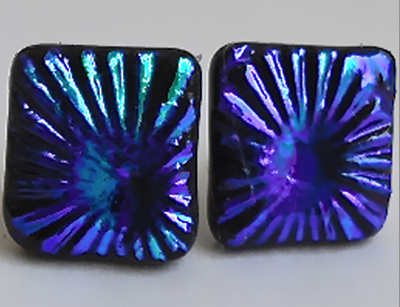 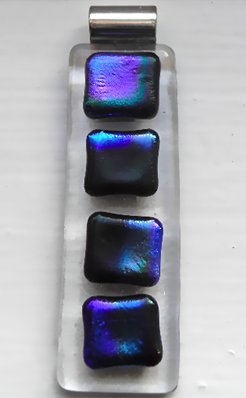 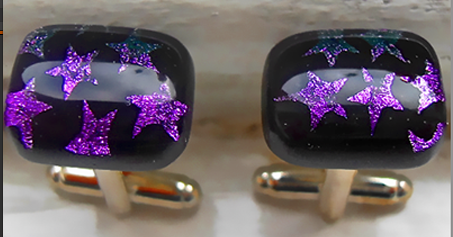 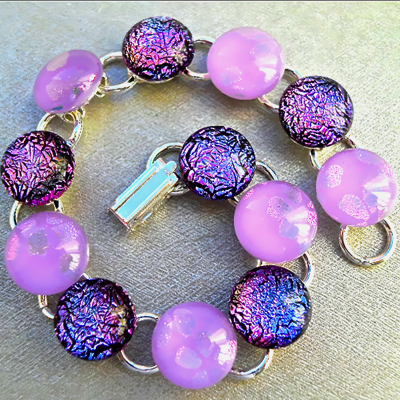 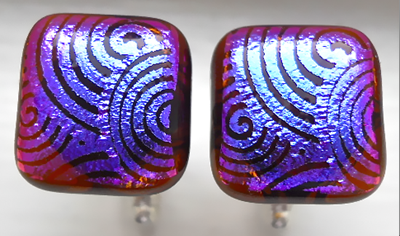 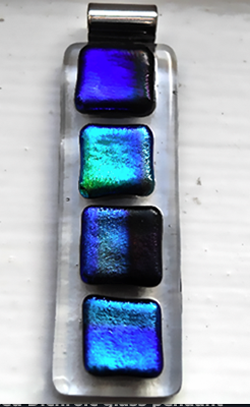 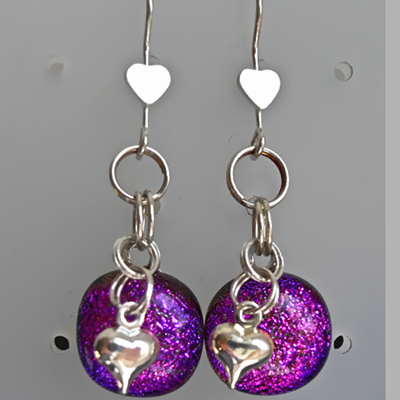 These long earrings are made of Purple/Pink Dichroic glass with small plated silver heart attachments.